Glytone Acne Clearing Cleanser Reviews: Is It Really Effective? Glytone Acne Clearing Cleanser Review: Does It Work As Promised? Glytone Acne Clearing Cleanser, US $33 for 200 ml, promises to relieve you of your bouts with acne and bring improvements with every wash. This product is manufactured and distributed by the Pierre Fabre Group, a global company that has acquired Glytone, which has been claimed to have pioneered the use of glycolic acid in skin care, since 2002. Use Glytone Acne Clearing Cleanser as the first part of your morning and evening skin care routines, applying the product with a gentle massage, concentrating on the T-zone where most of the grease is produced. Always follow through with a toner and moisturizer to restore lost moisture and keep this locked within your skin. 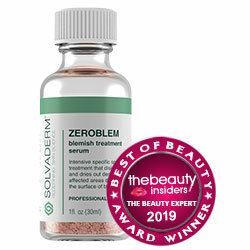 The manufacturer guarantees that the formula is oil-free and non-comedogenic. Glytone Acne Clearing Cleanser reviews have cited that this product works in helping regulate their acne but that some have also highlighted that other products that work similarly with this product are readily available in stores. This product contains sodium lauryl sulfate which severely dries up your skin after a cleanse which you should be concerned about if you are trying to clear your acne with this product because that severe dryness will translate to over-the-top greasy surface later in the day as your skin overcompensates for the dryness. Lauramide Diethanolamine, a foaming agent, and Chloroxylenol, a preservative, can cause severe eye and skin irritations. Other than salicylic acid and water, the 6 other ingredients in this product’s formula are preservatives and fillers, many of which are extremely bad for your skin. 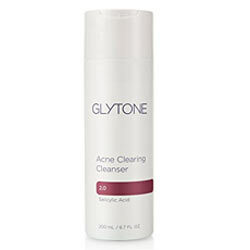 Glytone Acne Clearing Cleanser reviews have cited how drying this product has been, causing skin to become oilier, and breakouts to worsen as a result. There is only one ingredient that Glytone Acne Clearing Cleanser is formulated with that can be potentially beneficial to your acne skin care routine, which is salicylic acid. Although a 2.0 per cent is an ideal concentration for this to work, which this product meets, whatever benefit that can be derived is immediately flushed down the drain in seconds because of the nature of this product.